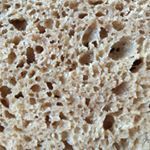 I posted an article here at Breadtopia that tries to explain a little bit about the life cycle of fermentation (“proofing”) in sourdough leavened bread. I don’t directly answer your question in there, because I don’t think there actually is a simple, push-button (or “push-dough”) answer to that question. But in a way, the whole post is an answer to your question, and that answer is that you have to have a basic understanding of the sourdough lifecycle (included in that post), and then bake a lot of loaves of bread and pay attention to the dough along the way so that you can relate your dough observations to your baked bread outcomes and over time, come to an intuitive understanding of when the dough is ready for each step in the process. Just re-read your full article again and you speak nothing of the 2nd rise/proofing. Is the point of the 2nd rise only to shape it and confirm the microbes are still working? Havent tried it yet…but after the overnite bulk rise, couldn’t one just bake it out of the bulk rise bowl? Is the point of the 2nd rise only to shape it and confirm the microbes are still working? Havent tried it yet…but after the overnite bulk rise, couldn’t one just bake it out of the bulk rise bowl? 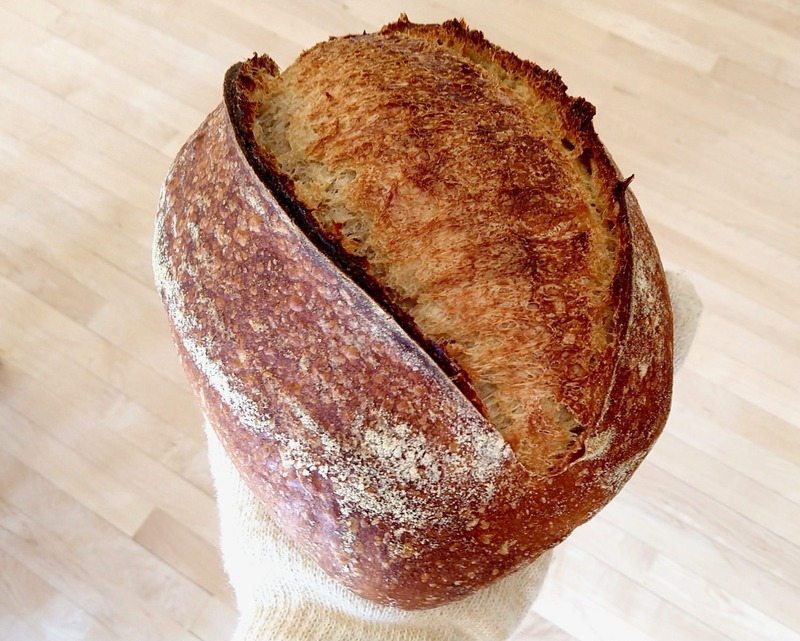 When you shape the dough, you re-strengthen gluten strands that tend to relax over time during the bulk fermentation, and you (ideally) form a taught skin that helps the loaf to hold its shape when baking. That contributes to the bread rising up in the oven (oven spring) rather than spreading out and getting flat. Usually, when you shape the dough, there is a measure of de-gassing (deflation of the rise) that happens. My way of thinking about the 2nd rise is that it is a period of time after the shaping when you let the dough re-rise and bubbles re-form. I’m sure you could forego the second proof. You’d likely want to adjust the length of the first / only proof in that case (as usual, my policy on “can you” questions: sure you can; let us know how it works). I’ve sometimes done second proofs that were short enough that I might as well have skipped it. Lately, I have been doing a long, cold 2nd proof in the refrigerator. I shape the dough, put it into the proofing basket, and then let it sit at room temperature for some period of time (usually from 30 - 90 minutes) that depends on how long the bulk proof went, how warm it is, and how the dough looks, feels, and smells, and then I put the basket into the refrigerator over night - usually for something like 12 - 16 hours. Then I bake it right out of the fridge. Of course…the taught skin, thats somewhat essential. I like the idea of tthe long 2nd proof in the refrigerator. My little experience in having the first rise in the refrig is that there is NO push back when poking the dough and it takes at least 6 hrs to warm back up again to get that bit of spring back. And your saying “right in the oven from the refrig” …wow. I am assuming that you also have no push back from right out of the refrig as well?? And your loaves come out like perfect ERIC loaves seen to do? I’m sure Paul will add his reply, but I’m another baker that most often shapes, refrigerates overnight and then direct into a preheated baker and oven (500). I used either a Breadtopia oblong clay baker or a cast iron dutch oven. And I tend to do some/most of the bulk in the refrigerator as well. I started the long-cold process after some dense, heavy loaves and in my kitchen/flours/oven, etc. this process gives me flavorful loaves with a crumb I like. I rarely test the “push back”, but sometimes do and it does. Mostly I go from “look” of the dough. I’m unsure of all of the reasons that things work the way they do, BUT part of my thought is that cold dough into a hot vessel/oven gets a bit more oven spring at the start. And then if there is structure, you get the open crumb. I could be all wrong about that reasoning, but it makes sense to me . And just a caveat … there is a recent thread where a new baker’s Romertopf cracked when putting cold dough into a hot baker. I’ve never had an issue or “heard” anything untoward when I put my dough in my clay baker. I do use parchment. And your saying “right in the oven from the refrig” …wow. I am assuming that you also have no push back from right out of the refrig as well?? And your loaves come out like perfect ERIC loaves seen to do? I’ve never used the “push back” test in gauging my dough’s proofing status, so I don’t really know. Based on what it feels like when it comes out of the fridge, I’m guessing that you’re right and there wouldn’t be much if any “push back”. I think that the stiffness of the dough when it comes out of the fridge adds to the taught skin in giving the dough some inherent structure and helping with oven spring, but that is pure conjecture since I can’t actually see / feel what’s happening inside the covered clay baker. My loaves usually come out with a good amount of oven spring and a reasonably open, airy crumb for 100% whole grain. Not sure how to compare them to Eric’s. As @easummers also mentioned, I’ve been putting cold dough into a hot clay baker (either Romertopf or the Breadtopia clay baker) for years and never a crack or a sound or anything that made me worry about it, but I’m knocking wood now since @DennisM reported cracking his Romertopf recently. Just to let you know I did use parchment paper when I cracked my Romertopf. BUT, BUT, BUT when things go sour it always happens to me. My wife says it seems like an excuse to take something apart.